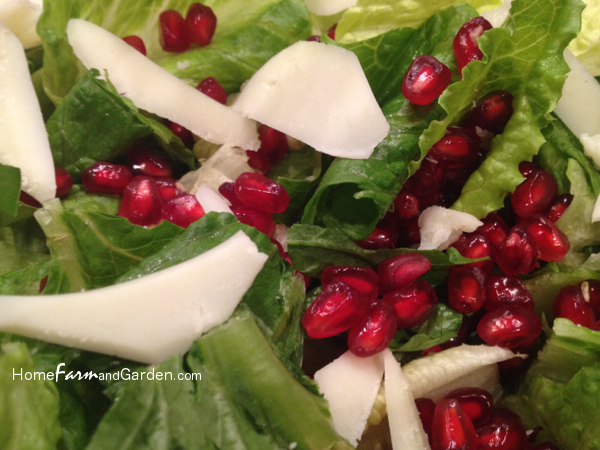 This quick and easy salad looks so festive with bright red pomegranate seeds set against deep green Romain lettuce and shaved Parmesan cheese. Tossed in a homemade white balsamic salad dressing, it tastes as good as it looks. 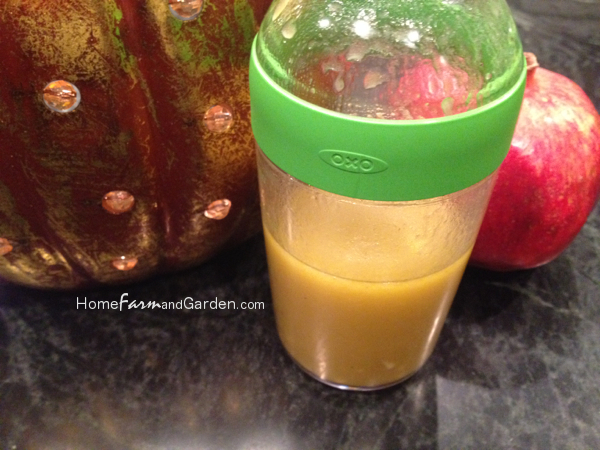 Recommended Tools: OXO Good Grips Salad Dressing Shaker – I absolutely LOVE mine – we use it constantly. The built in measuring lines makes making homemade salad dressing so much easier, especially for our girls when they help with dinner. One time, my husband was supervising dinner and put the girls in charge of making the salad dressing (this was before we had our salad dressing shaker). 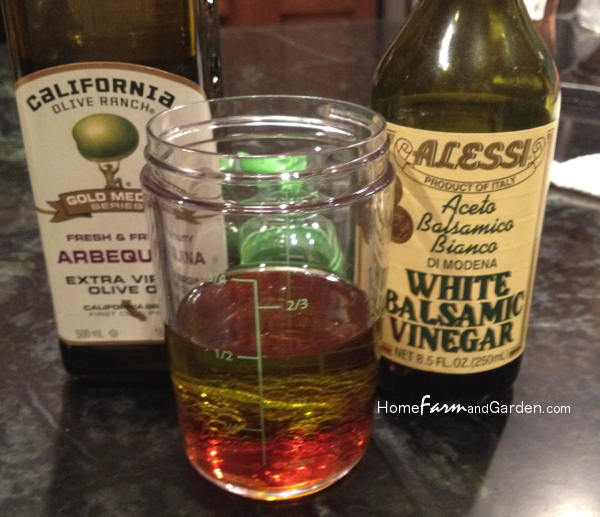 The twins attempted to make the dressing the way they’ve seen me do it countless times before – without measuring – and AN ENTIRE BOTTLE of balsamic vinegar ended up in the mix. disclaimer: this post contains affiliate links, which means I may earn a small commission on purchases made via those links. However, this does NOT increase the price you pay. To make the dressing, combine all ingredients in the OXO Good Grips Salad Dressing Shaker or other mixing container and shake vigorously to combine. If you don’t have a container with a dependable lid, mix thoroughly with a whisk to combine. 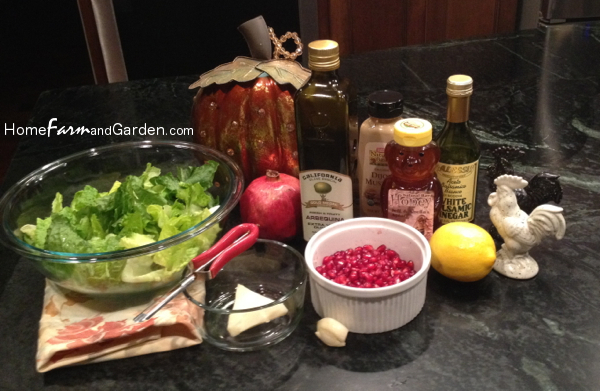 To serve, toss the pomegranate seeds with the romaine lettuce and salad dressing. Then, top with shaved Parmesan cheese.